Word of Mouth TV had such a great time interviewing authors at Writing NSW's Kids & Young Adult Festival. The events were packed but we still managed to persuade authors Jaclyn Moriarty, Garth Nix and Belinda Murrell to spare some time to talk about their latest books and share their book and food tips. Everyone else must have had a great time too, because the event trended fourth on Twitter for the day, no mean feat. Authors appearing at NSW Writing's Kids & Young Adult Festival had been on a pre-festival childrens-reading binge, so there was no shortage of recommendations for those seeking a gift to inspire a young one. 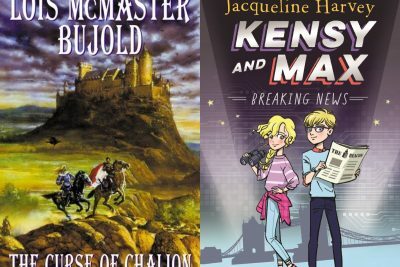 Garth Nix, Jaclyn Moriarty and Belinda Murrell offer a delightful and diverse selection of books to entertain children (and adults) of all genders. I'll be reading these myself.